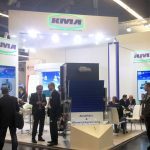 As leading solution provider specialised in air purification in the food processing industry, KMA Umwelttechnik presents its energy efficient exhaust air filters at the Anuga FoodTec on the 20th – 23th March 2018 to the professional audience. 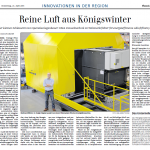 Thanks to its high energy efficiency the KMA solution is recognised as particularly sustainable, since the ambitious European climate objectives as well as the increasingly challenging regulatory requirements of the TA-Luft (focusing on the separation of odour emissions) make an energy saving technology indispensable. At the Anuga FoodTec the expert for modern air filtration presents its specialised air filter systems for smoke houses, the modular AAIRMAXX® System, as well as the established ULTRAVENT® System applicable to industrial frying and boiling lines. For the application in smoke houses the KMA AAIRMAXX® technology offers a broad range of modular exhaust air filter components, such as the electrostatic precipitator (separation of aerosols such as tar from waste air) and gas or odour separation (VOC-separation). Due to the increasing requirements of the TA-Luft with respect to the separation of odours, an optional new high-performance odour abatement can be equipped additionally. Compared to conventional post-combustion systems the KMA solution realises an energy saving and at the same time a CO2-reduction of more than 80%. 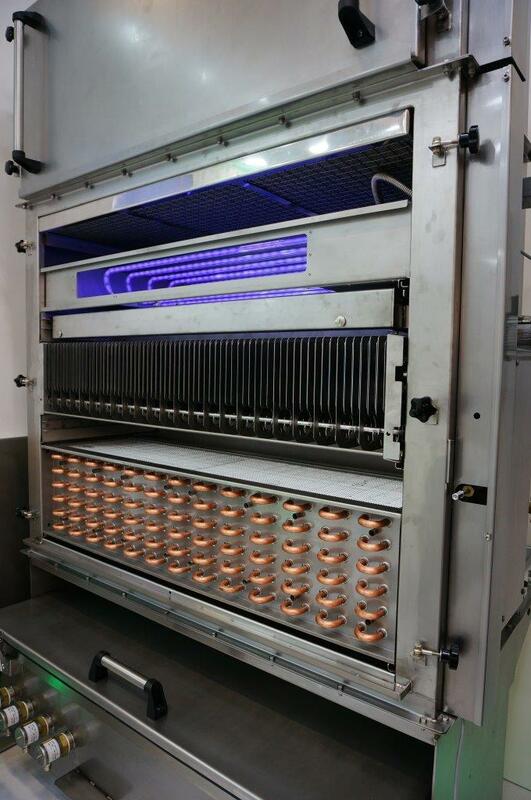 The ULTRAVENT® air filter system with highly efficient heat recovery system and optional UV-Light module for odour separation is especially designed for the application in industrial frying or boiling lines. The energy efficient alternative to post-combustion will be presented live in operation at the KMA Anuga FoodTec booth. The industry expert offers 60 years of business experience relating to air purification, air filtration and heat recovery in the food processing industry. KMA is glad to inform you about topics such as air filtration, the compliance with the new TA-Luft requirements and designs energy efficient solutions for the exhaust air purification of your business. Visit KMA at the Anuga FoodTec: Hall 6.1 Booth E101.